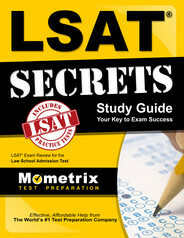 The scoring of the LSAT follows a fairly simple system. The raw score on each of the three graded, multiple-choice sections (remember that each exam will contain one ungraded pretest section of multiple-choice questions) is based on the number of questions answered correctly. The LSAT does not distinguish between unanswered questions and questions answered incorrectly, so students are advised to make their best guess rather than leave a question unanswered. Each question on the exam carries the same weight. The raw score is then placed on a scale from 120 to 180, taking into account the relative difficulty of the exam version. The Writing Sample is not graded, but copies of the candidate’s responses will be sent to any law schools to which the student applies. Those students who have established an on-line account with the Law School Admission Council will receive their score report approximately three weeks after the exam. A paper copy of the score report will be sent by mail approximately four weeks after the exam. Exam scores will not be released by fax or over the telephone. Ace the LSAT test using our LSAT exam study guide with practice questions. 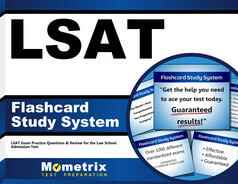 Quickly Solve Difficult LSAT Test Questions with the LSAT Flashcard Study System.